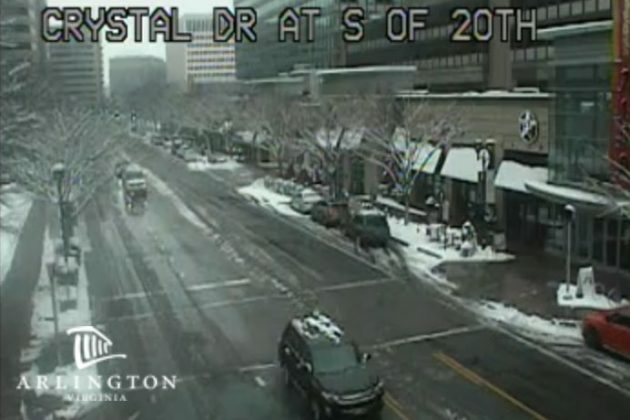 Update at 3:30 p.m. — All Arlington Public Schools will be closed Monday, the school system just announced. APS Alert: All APS schools and offices will be closed on Monday, January 14. Essential personnel should report to work at their scheduled time. Extracurricular activities, games, team practices, field trips, adult education classes, and programs on school grounds are canceled. 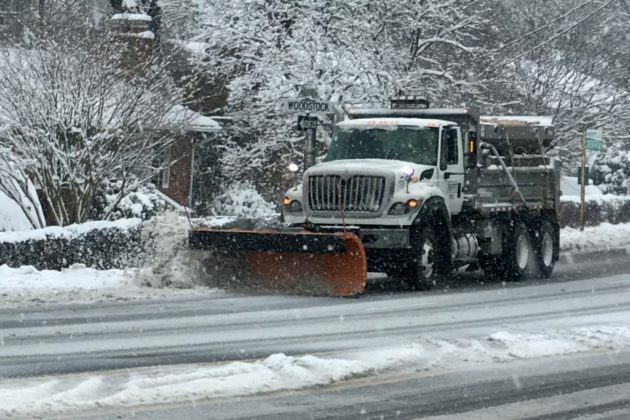 Earlier: Arlington County snow removal crews have started plowing neighborhood streets as the snowiest D.C. area storm since 2016 starts to wind down. 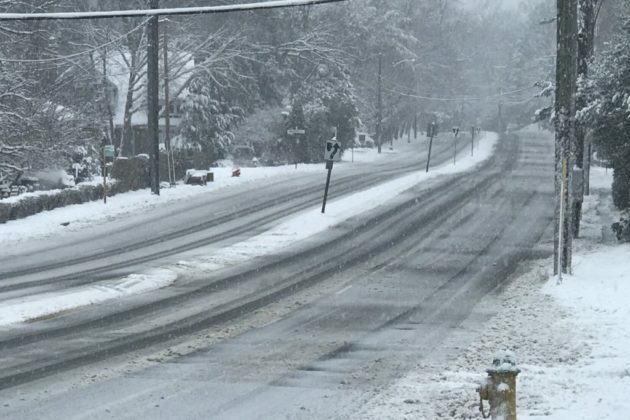 Crews across Northern Virginia worked throughout the night to keep roads drivable, though officials cautioned against unnecessary travel due to slick conditions. 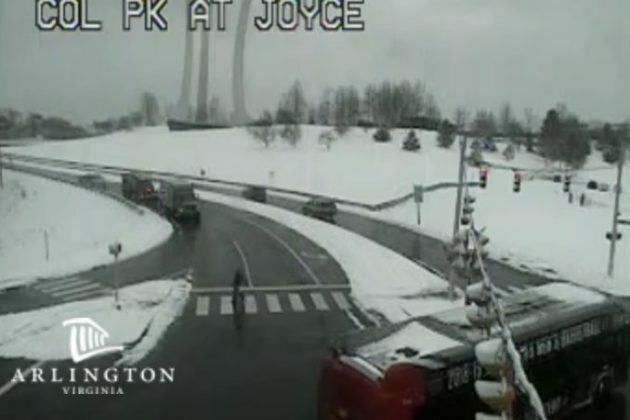 Virginia State Police said troopers in its Fairfax Division, which includes Arlington, responded to 34 crashes and 52 disabled vehicles since midnight. Statewide, more than 230 crashes were handled by VSP during that timeframe. 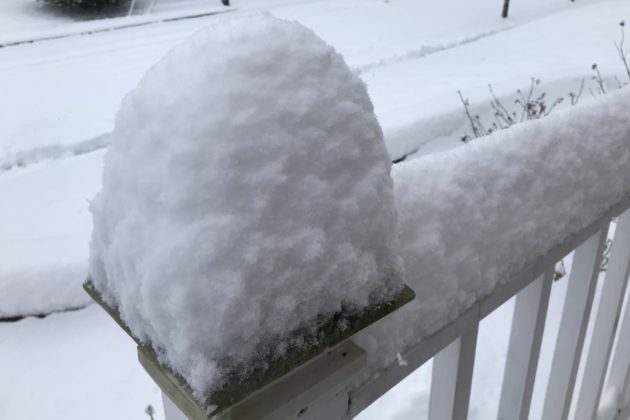 “On the second day of winter weather across northern Virginia, drivers are asked to continue to avoid unnecessary travel for crews to safely clear accumulating snow,” VDOT urged. In Arlington, all Dept. of Parks and Recreation classes and activities in county and school facilities were canceled today. All county fields and community centers were closed and all other activities at public schools were canceled. Arlington Transit buses, meanwhile, are operating on a limited schedule. 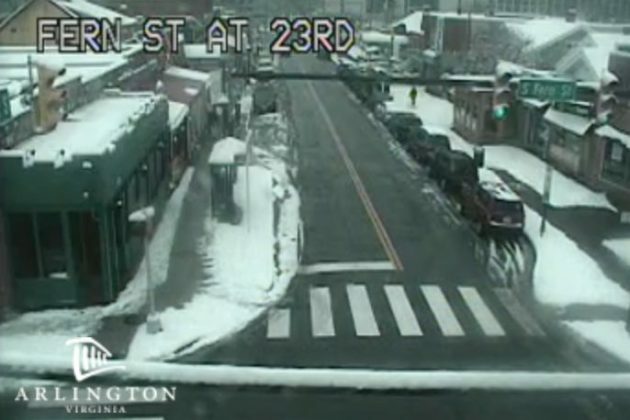 As of 2 p.m., Arlington Public Schools had not yet announced its status for Monday. 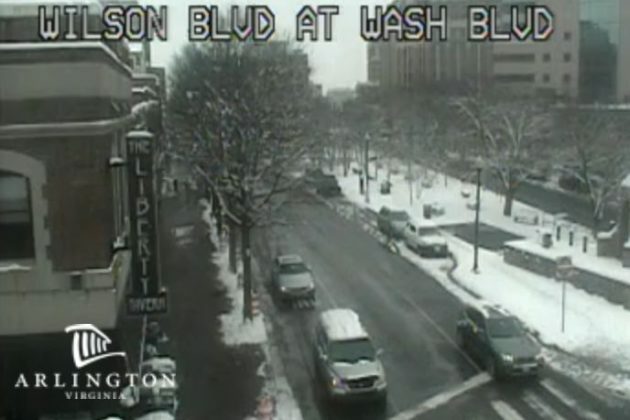 Another 2-3 inches could fall between 1 p.m. today and just after midnight, according to the National Weather Service, and a Winter Storm Warning remains in effect.